Katy Perry may have said it best when she tweeted that the world lost a lot of magic this week after news broke of Prince's passing. I was really stunned and saddened by his death, more so than with most other celebrities, because his music has played, and will no doubt continue to play, a huge role in my life. This weekend we're taking a little break from house hunting, so, while I've been a stickler about monitoring what my girls listen to (it's been mostly Disney soundtracks with a little Kidz Bop thrown in here and there), I'm going to introduce them to two of the best dance songs ever written--"Let's Go Crazy" and "I Would Die 4 U." Have a great weekend, and God bless! 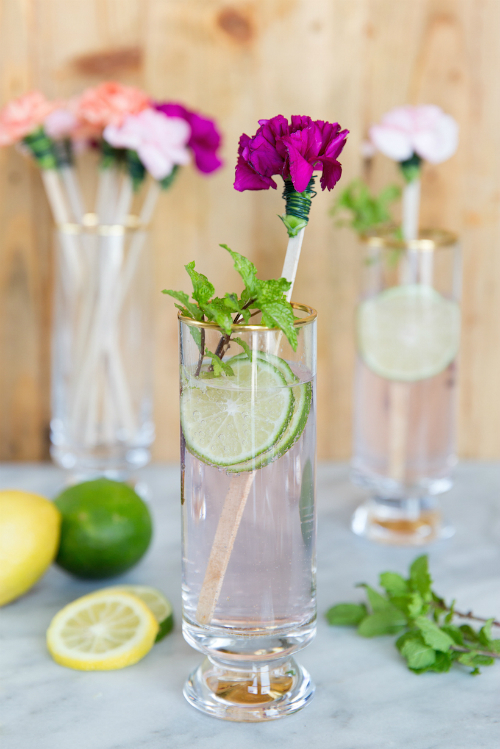 DIY carnation stir sticks that instantly elevate a glass of ice water. This cute and colorful Mara Hoffman romper. 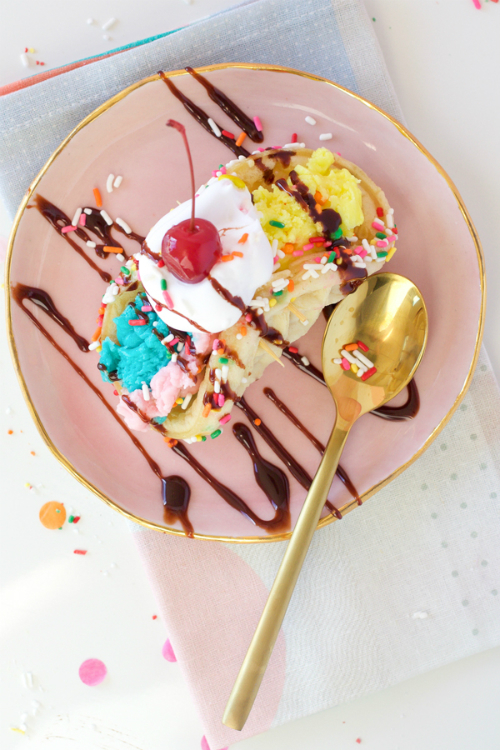 Ice cream sundae tacos that will be so perfect for Cinco de Mayo. 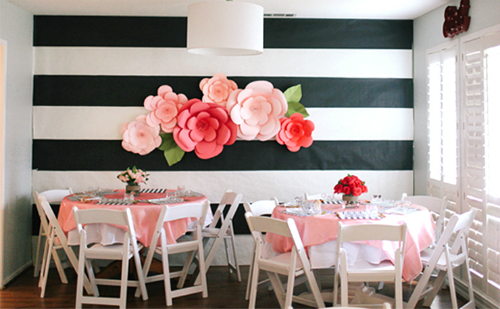 Giant paper flowers and striped wall--the prettiest party backdrop. 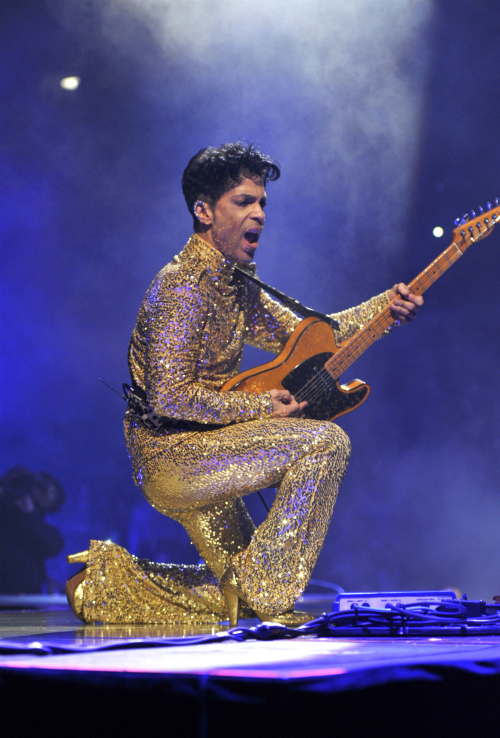 The one and only Prince looking insanely fierce in gold sequins. Yes, we did lose a lot of magic after Prince's passing. Only he could wear a full gold sequins outfit and still look manly. It's like magic! I love how unique he was and there will never be another like him. His music will forever be in my heart! I feel exactly the same! LOVE me some Prince!